Are you into setting goals? At the start of each year, I set out to make some changes and hopefully do things a bit better than I did the year before. One thing that helps me is if I write it all out. I need a plan! For me, the key to success is having plenty of reminders and visual aids to keep me on track. 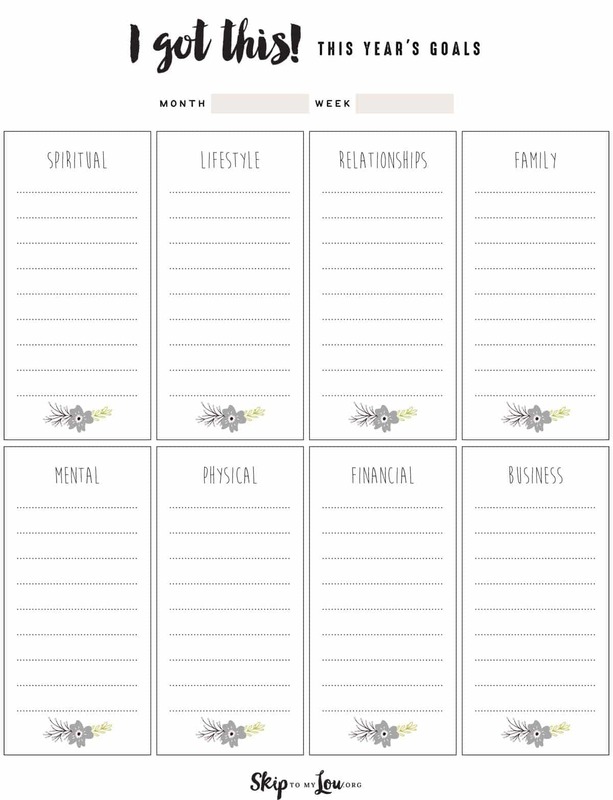 Here are the goal setting worksheets that I use. Here are some of my favorite motivational quotes to keep me positive! 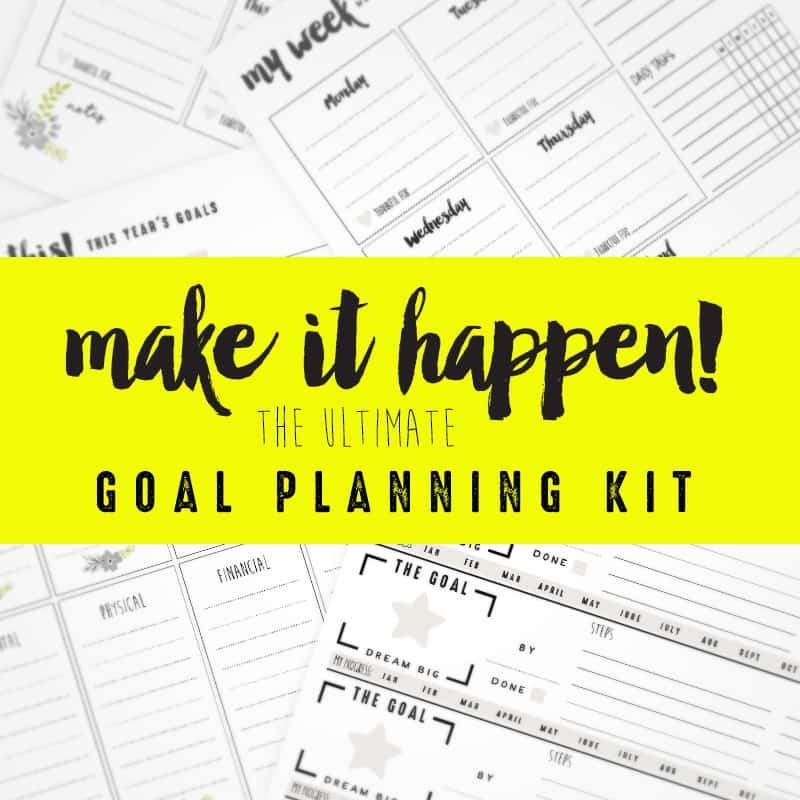 Here are some super simple goal planning tips. 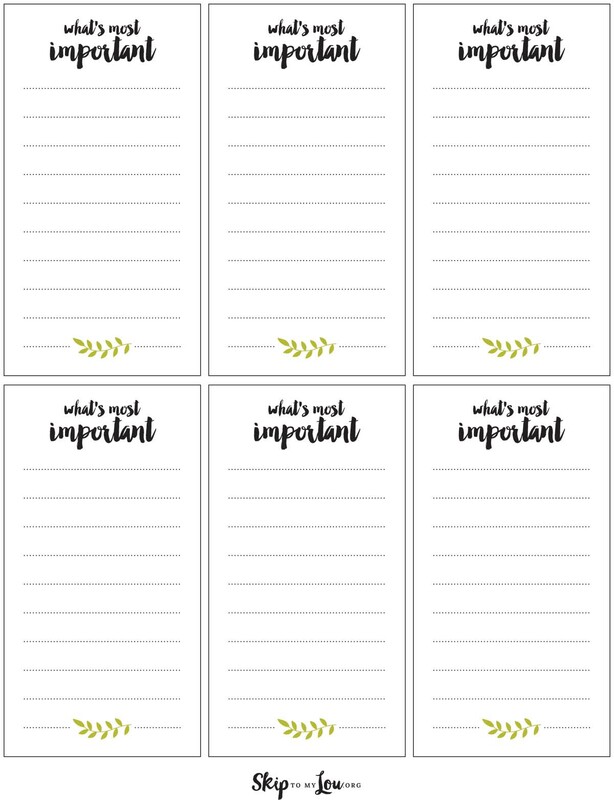 I first make a list of ways I want to grow in specific areas of my life by filling out this sheet. I choose one or two in each area to focus on as my goals. S.M.A.R.T. goals were developed by, George T. Doran, He introduced S.M.A.R.T. goals as a tool to create criteria to help improve the chances of succeeding in accomplishing a goal. The goals must be specific measurable attainable relevant and time-bound. Take time to list steps on how to reach your goal and set a timeline. 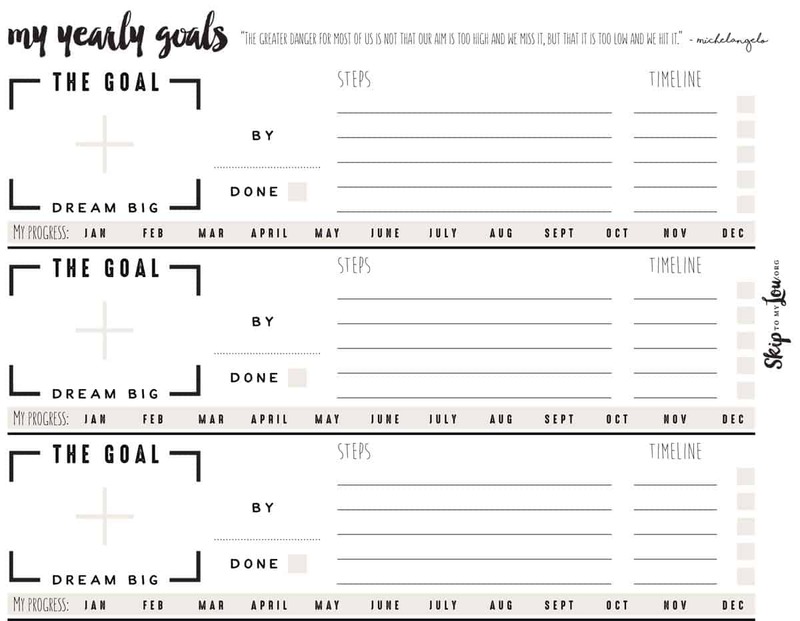 Here is a smart goal setting worksheet. It is great for setting long term goals. Be sure to check off when you achieve the goal and milestones. I found I often forget to check my goal planning worksheet and then get way off track. 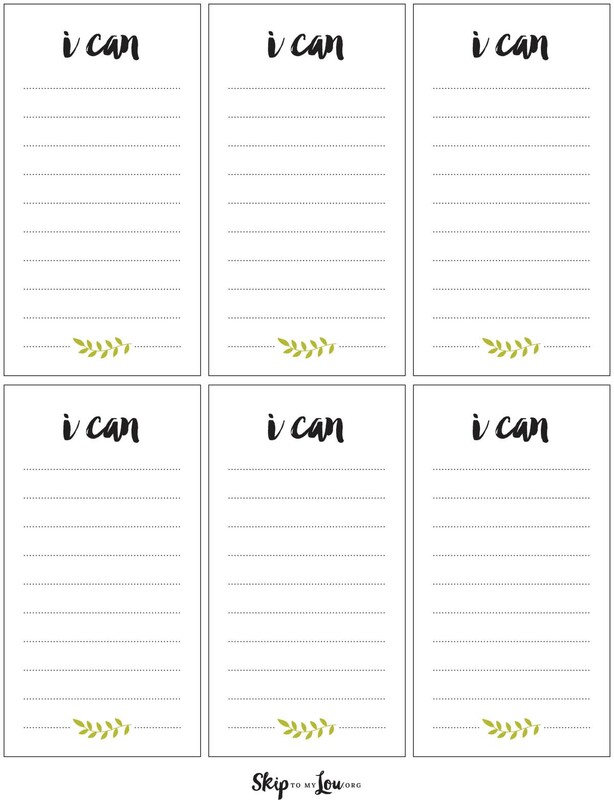 To remind me on a daily basis what I am working toward and to remind myself I can do it I fill a couple of these cards weekly, cut them out and place them where I can’t miss them on a daily basis. These little reminders do wonders to keep me focused. You’ll find some of these cards on my bathroom mirror, inside a frequently opened cabinet door, on my computer and in my car to keep me motivated and remind me why my goals are important to me. We all need to be reminded we can do it. I know you can. On these cards, I write my specific goal and keep it where I can see it everyday! 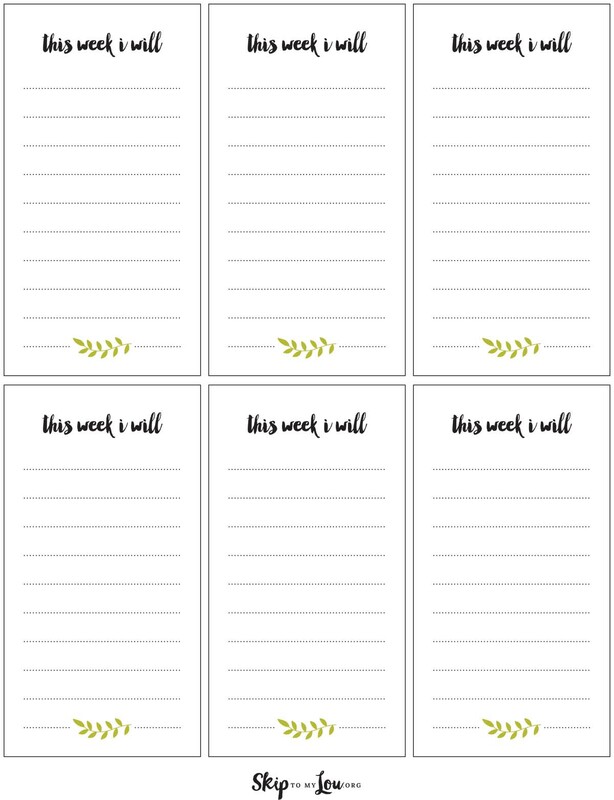 Make sure you keep the specific tasks on your weekly planner! Ready? It takes planning and determination but I know you can make your dreams come true. You’ve got this! 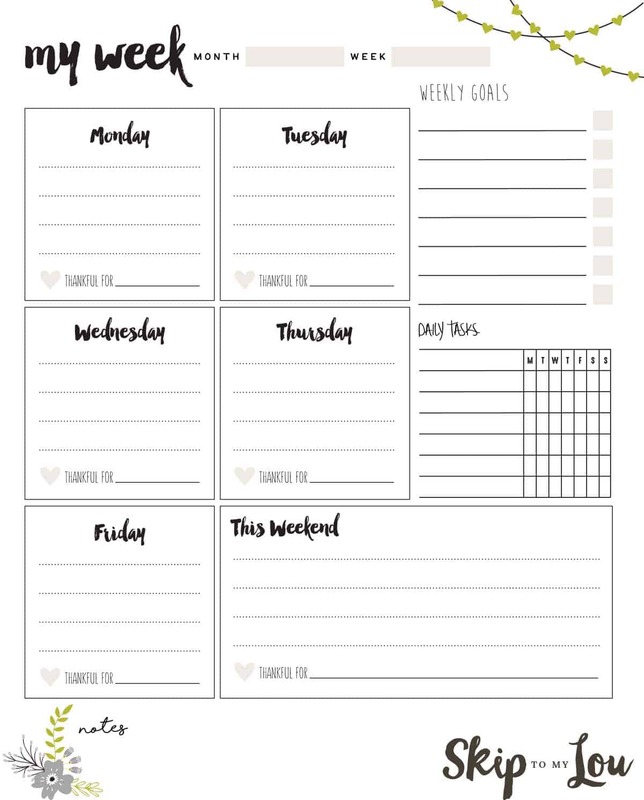 You might like to download my 2017 inspirational calendar. If losing a few pounds is on your goal list. You might like these weight watchers recipes. I like your goal sheets. Just wanted to leave a comment.